With two NFL games under Twitter’s belt now, I’m reading far too many headlines hyping what it means for Twitter to be in the live streaming business. Phrases like “game changing,” “milestone,” and “make-or-break moment” have all been used to describe Twitter’s NFL stream. Many commenting about the stream act as if live video is a new kind of new technology breakthrough, with some even suggesting that “soon all NFL games will be broadcast this way.” While many want to talk about the quality of the stream, no one is talking about the user interface experience or the fact that Twitter can’t cover their licensing costs via any advertising model. What Twitter is doing with the NFL games is interesting, but it lacks engagement and is a loss leader for the company. There is nothing “game changing” about it. 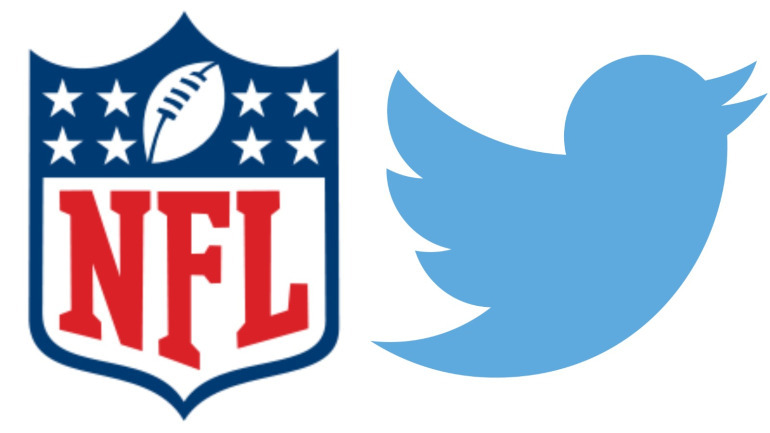 The first NFL game on Twitter reached 243,000 simultaneous users and 2.3M total viewers. But looking further at the data, the average viewing time was only 22 minutes. Most who turned into Twitter didn’t stick around. Many like myself tuned into only to see what the game would look like and how Twitter would handle live video within their platform. For week two, Twitter reached 2.2M total viewers and had 347,000 simultaneous users, but the NFL isn’t saying what the average viewing time was. Twitter and the NFL are also counting a viewer as anyone who watched a “minimum of three seconds with that video being 100% in view”, which is a very short metric to be using. Streaming live content on the web has been around for 21 years now, and it’s sad state of the industry when the most exciting part of the event was that people could not believe the video didn’t buffer or have widespread quality issues. It’s not hard to deliver a video stream to 243,000/347,000 simultaneous users, especially when Twitter hired MLBAM, who then used Limelight, Level 3 and Akamai to deliver the stream. Some suggested that the “NFL on Twitter opens an enticing lucrative new revenue stream,” which of course isn’t the case at all. We don’t know for sure what Twitter paid for the NFL games, but if the rumors of $1M per game are right, Twitter can’t make that back on advertising. They don’t have a large enough audience tuning into the stream and would never get a CPM rate to cover their costs. Some have even suggested that the NFL stream on Twitter is a “model for other revenue-generating live stream events.” but of course that’s not the case. One-off live events can’t generate any substantial revenue as the audience size is too small, and the length of the event too short. There is nothing wrong with Twitter using NFL content to try to attract more users to the service and grow their audience, but the NFL content itself isn’t a revenue generator for the company. Some, including NFL players, suggested that soon all NFL games will be broadcast online and that what Twitter and the NFL are doing is the future. That idea isn’t in touch with reality. The NFL is getting paid $28B from FOX, CBS and NBC over the course of their contracts, which end in 2022. That averages out to $3.1B per year the NFL is getting from just those three broadcasters. The NFL has no financial incentive to put more NFL games online, without restrictions, or they risk losing their big payday from the broadcasters. It’s not about what consumers want, it’s about what’s best for the NFL’s bottom line. Economics drives this business, not technology or platforms. If Twitter has a game plan for all the live video they are licensing, it’s not clear what that is. In a recent interview with Twitter’s CFO, he commented that Twitter’s goal with the NFL games is to, “help the NFL reach an audience it was not otherwise reaching.” How does Twitter know they are doing that? There were plenty like me who were watching the game on TV and Twitter at the same time. The NFL didn’t need Twitter to reach me. And when the CFO uses the term “high fidelity” to describe the stream, what does that mean? Twitter keeps saying they have the “mobile audience,” but they won’t break out numbers on what the usage was on mobile versus the web, or any data on average viewing time on mobile. Twitter also said, “there was evidence that people who had not watched the NFL in a while were back engaged with it.” Why kind of evidence is that exactly? Twitter can’t tell if I was on NFL.com the day before, or watching the game on TV today, so what kind of data are they referencing? Twitter also says that they were “incredibly pleased with how easy it was for people to find the Thursday night game on Twitter.” Making a live link available isn’t hard. A WSJ article said there are other “live sports streaming technologies out there” but Twitter’s was “easy to use.” All the live linear video on the web is using the same underlying technology, Twitter isn’t doing anything special. They are using the same platform that MLB, ESPN, PlayStation Vue, WWE and others use, as they are all MLBAM customers. Many in the media made it sound like Twitter did something revolutionary with the video technology, which wasn’t the case at all. Someone commented online that the reason Twitter’s NFL stream is so “successful” is because “advertisers love the mass that live sports delivers.” But it doesn’t deliver that mass audience online, only on TV. And that’s the rub. The NFL and every other major sports league isn’t going to do anything to mess with their core revenue stream. So for at least the next six years, until their contracts with the broadcasters come up for renewal, the NFL isn’t going to do anything more than experiment with live streaming. And there will always be another Twitter, Yahoo, Verizon, Google, or someone else who wants to give the NFL money, more for the publicity of the deal, than for anything that actually increases their bottom line.